Our office provides today's advanced techniques in cosmetic dentistry. Teeth that are discolored, chipped, crooked, or misaligned can be beautifully corrected. Dr. Lozier stay current with the latest developments in porcelain veneers, bonding, and teeth whitening. Occasionally, a tooth nerve chamber will become infected, acquiring a root canal to save the tooth. This treatment cleans the infected nerve chamber and repairs the damage, saving your natural tooth. 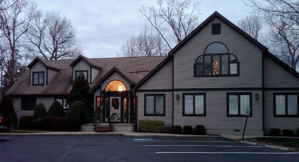 Our offices utilize a procedure that is both comfortable and completed in less time than previous methods.